With over 25 years’ expertise in the marine propeller business, Oz Propellers is the trusted name for all types of boat propellers. Whether it’s for your outboard or sterndrive, our range is sure to impress. With brands spanning from Yamaha to Suzuki, Mercury and beyond, rest assured that your new boat propeller will surpass expectations and offer premium performance. When you shop with Oz Propellers, you can rest easy knowing that you’ll never have to settle for less – we offer top quality products with competitive prices, so much that if you find an identical boat propeller for cheaper elsewhere, we’ll beat the price! For your convenience, we deliver our boat propellers Australia-wide including Adelaide, South Australia – orders your online today! 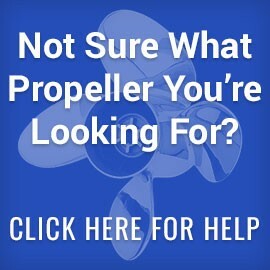 Time to replace or upgrade that boat propeller? No worries, let Oz Propellers supply you with a boat propeller of exceptionally good quality! For more information, simply call us today on (07) 5326 1702.